Stunning custom 2 bedroom, 2 bath home plus garage located off of one of the most coveted streets in Santa Fe, Canyon Road. This gorgeous property boasts the finest finishes and high end appliances - custom handmade tile, polished concrete counter tops , 3 gas fireplaces, Italian marble, a free standing deep soaking copper tub, a La Cornue stove, a Subzero fridge, a Subzero wine fridge, a built in Wolf microwave and a Miele cappuccino maker. Enjoy relaxing or dining outside in the elegant private courtyard beautifully landscaped, and adorned with lavender. 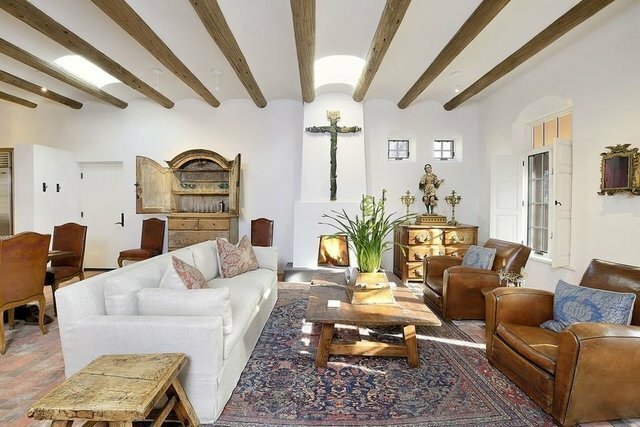 Enjoy all that Santa Fe has to offer from this Canyon road gem built by Doug McDowell.